A Magistrate Court ruled that an 11-year-old terrorist, who carried out a stabbing attack on Jerusalem's light rail, will be sent to a Ministry of Welfare supervised residence, since he is below the age of criminal liability. A follow-up hearing will be held in one year. The Magistrate's Court ruled that the 11-year-old terrorist from the Shuafat refugee camp who carried out a stabbing attack on the light rail train in Jerusalem’s Pisgat Ze'ev neighborhood will be sent to a Ministry of Welfare supervised residence for approximately one year. The court censored the majority of the ruling's details because the subject has not reached the legal age of criminal responsibility, 12. He perpetrated the attack in November, along with a family relative who is 14 years old. 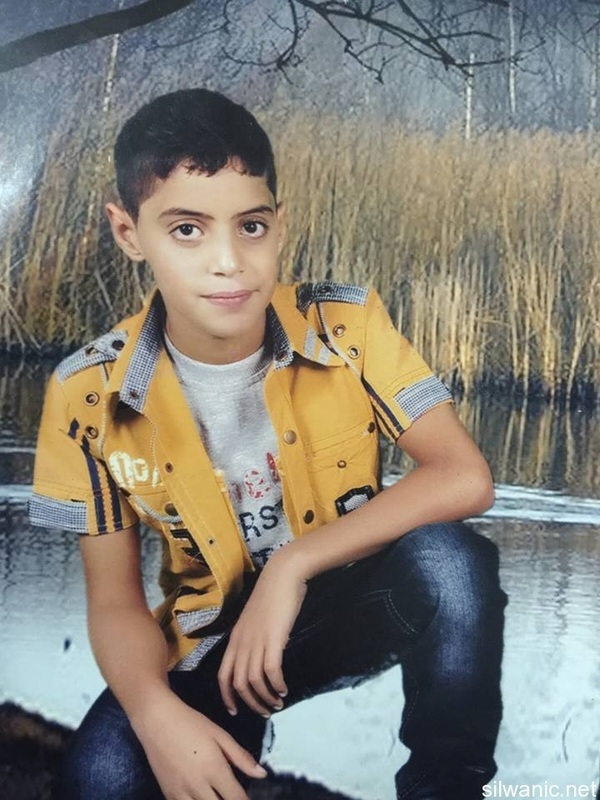 According to the law, Israeli authorities cannot arrest or interrogate the 11-year-old terrorist under caution. Additionally, legal authorities have avoided putting him on trial or imprisoning him. This is the first time legal authorities have come across such a young terrorist, thus they find themselves in a legal dilemma. After concluding his physical rehabilitation treatment at the Hadassah Ein Kerem Medical Center, the young terrorist was sent to a Ministry of Welfare supervised residence, where he can leave for short vacations and his parents can visit him. In a year, the Magistrate Court will hold another hearing on whether of not he needs to stay at the supervised residence, taking into account the evaluations of Ministry of Welfare officials. The 11-year-old terrorist stabbed a security guard with scissors on the light rail in November, while his 14-year-old relative stabbed the same security guard in the head with a knife. After a struggle with the two boys, the security guard managed to draw his weapon. He told the 11-year-old to drop his weapon and after the boy ignored the call multiple times, shot him in the stomach, wounding him severely. Meanwhile, the 14-year-old terrorist was overpowered and neutralized by the guard and other light rail passengers. The 14-year-old attacker was arrested and charged a week after the incident. The Ministry of Welfare responded to the news, saying, "These matters are under (legal) privilege, and so we cannot comment." A number of Palestinian teenage prisoners have been violently beaten in Israeli detention in recent days, the Palestinian Prisoner’s Society and family members said Tuesday. Israeli forces stormed the occupied West Bank districts of Bethlehem and Nablus on Tuesday, detaining at least three Palestinians as well as closing roads and a major checkpoint. Israeli forces stormed the northern occupied West Bank village of Huwwara in the southern Nablus district and forcibly shut down all shops in the town after an Israeli settler was reportedly injured by stones thrown by local youths, local sources said. 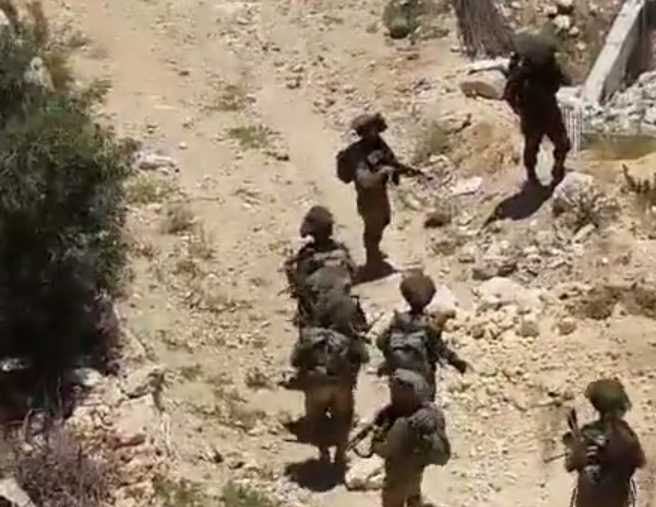 An Israeli army spokesperson told Ma'an that a rock was thrown at a passing vehicle in the area, injuring an Israeli woman, and that the Huwarra area was "prone to rock hurling attacks." Ghassan Daghlas, a Palestinian official who monitors settlement related activities in the northern West Bank, told Ma’an that Israeli forces closed the main road between Nablus and the illegal Yitzhar settlement. He added that the Israeli forces detained two Palestinian men from Huwwara. Witnesses also said Israeli forces closed the Huwwara checkpoint, a major checkpoint between Nablus and the central West Bank, after the incident. Israeli forces had threatened to set up checkpoints outside of Huwwara on Sunday if there were any clashes with Palestinian residents of the area. The Israeli army spokesperson confirmed that one road near Huwarra and the checkpoint had been closed, but that it was "not necessarily connected to the rock hurling," and that checkpoints were regularly closed temporarily to "reduce crowding." In a separate incident, Israeli forces stormed al-Duheisha refugee camp in the southern occupied West Bank district of Bethlehem shortly before midday Tuesday and detained a young Palestinian man, locals told Ma’an. Witnesses said undercover Israeli forces entered the western part of the camp shortly before Israeli military vehicles stormed the area. They surrounded the home of Nayif Ramadan and detained his son Abdullah, 24. The family said that Israeli soldiers searched and ransacked the house, damaging the family’s property. The raids comes after at least 21 Palestinians were detained during extensive predawn search and detention operations Tuesday, which included local Hamas leaders. Israeli forces also targeted al-Quds University early Tuesday morning, confiscating and damaging university property. Israeli forces carry out overnight search and detention operations throughout the occupied Palestinian territory nearly every night, however, raids taking place in broad daylight are less common. Since the beginning of 2016, Israeli forces have carried out a weekly average of 92 search and detention operations in the occupied Palestinian territory, according to The United Nations Office for the Coordination of Humanitarian Affairs. Israeli forces launched a wide-scale predawn detention campaign across the occupied Palestinian territory on Tuesday, detaining at least 21 Palestinians including local leaders of the Hamas movement, locals and Palestinian security sources said. In the village of Deir Istiya in the northern West Bank district of Salfit, Israeli troops raided and detained Jihad Tawfiq Khalid, 30. Locals told Ma’an that Israeli forces thoroughly ransacked Khalid’s house, damaging its interior before they handcuffed him and took him into custody. Palestinian security sources confirmed that Israeli forces detained two local Hamas leaders from the northern occupied West Bank. They were identified as Nazeeh Abu Oun from the village of Jaba in Jenin and Adnan Khader al-Husari from the Tulkarem refugee camp. The sources added that Israeli forces detained Tamir Shawar Rimawi from the Beit Rima village in the central West Bank district of Ramallah. 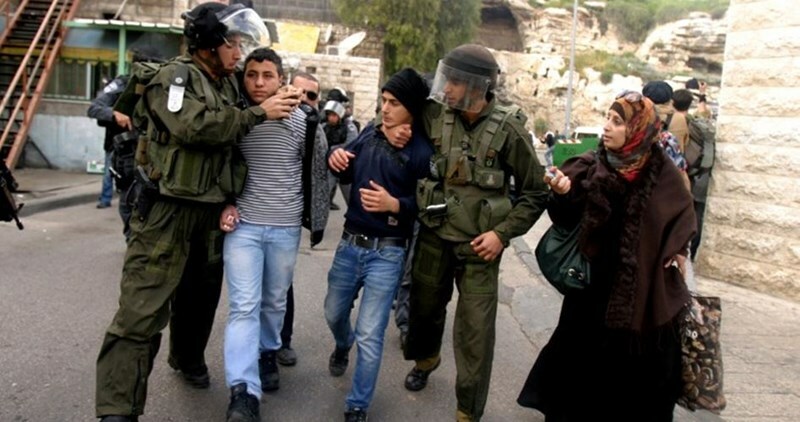 In the southern occupied West Bank district of Hebron, Israeli forces detained Ali Abu Se and Yazan Muqbill from al-Arrub refugee camp, Mahmoud Hmeidat from the village of Surif, Mahmoud Fawzi Amr and Mahmoud Badwan Ibeyush from Dura, and Wasim Jamal Bahar from Beit Ummar, Palestinian sources said. In occupied East Jerusalem, locals said Israeli forces detained Iyad Ata Uweisat and Ahmad Aziz Uweisat from the Jabal Al-Mukabbir neighborhood and Abd al-Qadir Dari and Muhammad Abu Riyala from Al-Issawiya. Abdullah Badir Abu Asab was detained in occupied East Jerusalem's Old City, and in the Hizma neighborhood, Israeli forces detained Adel Khader Jumaa, Abed Rabbo Ziad Kanan, Abed Faris Kanan, Sufyan Kanan, and Audah Abdullah Audah, Palestinian sources said. Israeli troops also stormed the campus of al-Quds University in the occupied West Bank village of Abu Dis east of Jerusalem's Old City, damaging property. Locals said Israeli forces detained Ahmad Jamil Dandan in Abu Dis. An Israeli army spokesperson told Ma'an that three Palestinian were detained in Hebron, two in the Tulkarem district, one in Qalqiliya, nine in Ramallah, and six in the Bethlehem area, all for "illegal activities." Israel is currently holding 7,000 Palestinians in its jails, according to prisoners' rights organization Addameer. The Israeli Occupation Forces (IOF) launched at dawn Monday a large scale raid and arrest campaign across West Bank and occupied Jerusalem. Two leaders in Hamas Movement were among the detainees. According to the PIC news reporter, the Israeli forces arrested the two leaders in Hamas Movement Sheikh Nazih Abu Oun, from Jenin, and Adnan al-Hussari, from Tulkarem. Local sources told the PIC reporter that large numbers of Israeli soldiers stormed Joba’a town in Jenin and broke into Sheikh Abu Oun’s house before violently searching it. Sheikh Au Oun was arrested more than once by Israeli forces and spent 15 years behind Israeli bars. IOF soldiers also stormed and violently searched a second home in Aker refugee camp in Jenin belonging to Ahmed Salatneh, head of the Jenin Zakat Committee. Following the raid, clashes broke out in the city. Dozens of civilians choked on teargas. Meanwhile, three youths were arrested in Ramallah and Salfit, while six others were detained in al-Khalil south of occupied West Bank. A similar arrest campaign was also carried out in occupied Jerusalem, where 11 youths were detained including five youths from Hezma town. 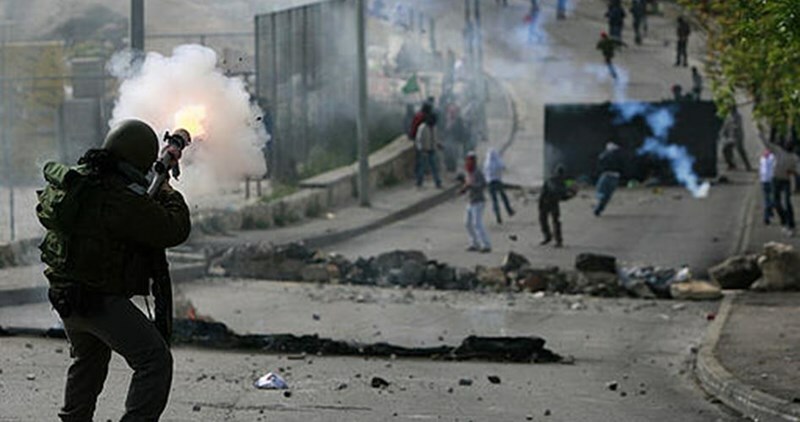 In Jenin, a number of local youths suffered effects of teargas inhalation as clashes broke out overnight in Beit Qad east of the city. 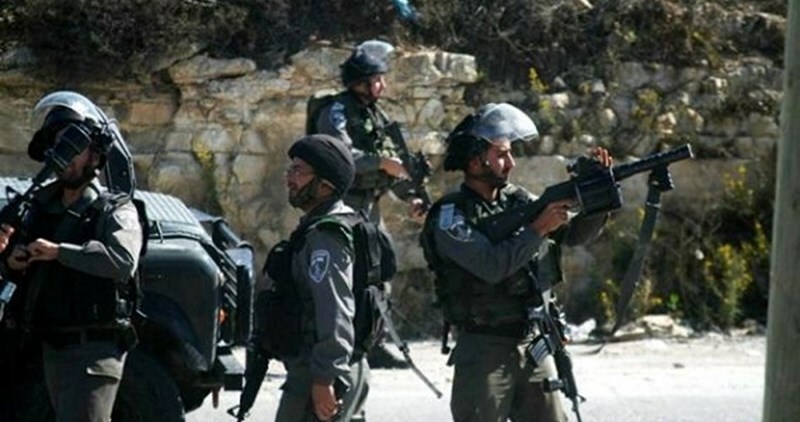 Local sources affirmed to the PIC reporter that IOF soldiers in nearly five military vehicles stormed the town which led to the outbreak of the clashes. Several youths were also detained and investigated during the clashes. A number of make-shift checkpoints were erected in the nearby towns in Jenin. The Israeli Ofer military court on Monday sentenced a Palestinian girl to 45 days in jail at the same time as Israeli soldiers detained two Palestinian children. Palestinian citizen Nasr Atatra said the Salem military court ruled for sentencing his 16-year-old daughter Shaymaa to one month and a half in jail and a fine of 1,100 U.S. dollars. The girl, held in the HaSharon jail, was kidnapped by the occupation army on March 15 at the Zaatara checkpoint, in southern Nablus, on allegations that she attempted to carry out an anti-occupation stabbing against an Israeli soldier. Meanwhile, the Israeli occupation army arrested the two Palestinian children Bahaa and Mus’ab al-Shawaheen, in al-Khalil’s southern town of Yatta, after they had been chased down and aggressively attacked by Israeli extremist settlers. Activist Rateb al-Jabour said the occupation troops who showed up at the scene opened fire at the two minor captives to scare them into stopping and handcuffed them before they detained them for long hours. In a related development, the Israeli occupation authorities released two Palestinian children, from Occupied Jerusalem, after they had been locked up for six months in Israeli jails. One of the newly-released children was identified as 16-year-old Amr Amer Abu Madi, arrested on October 13 on charges of stone-throwing. The other minor was identified as 17-year-old Samer Hamza Shludi. 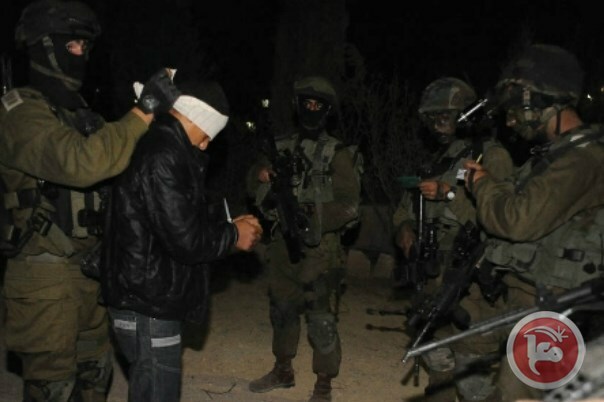 Several Israeli military vehicles invaded, on Monday at dawn, Teqoua' town and 'Aida refugee camp, east and north of Bethlehem, searched homes and kidnapped three Palestinian teenagers. A representative of the Teqoua' Local Council, east of Bethlehem, has reported that the soldiers surrounded the town before invading it, searched a few homes and kidnapped two Palestinians, identified as Luay Habes al-‘Amour, 17, and Malek Jamil al-‘Amour, 17. The soldiers also invaded 'Aida refugee camp, north of Bethlehem, searched homes and kidnapped Mohammad Rafat Abu Srour, 16. 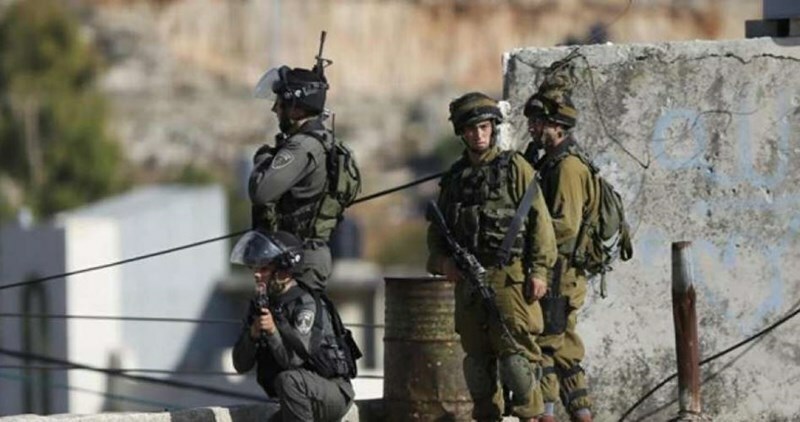 Israeli soldiers invaded, on Monday at dawn, the southern West Bank district of Hebron, stormed and searched many homes, kidnapped one Palestinian, attacked and injured another, and searched many homes. 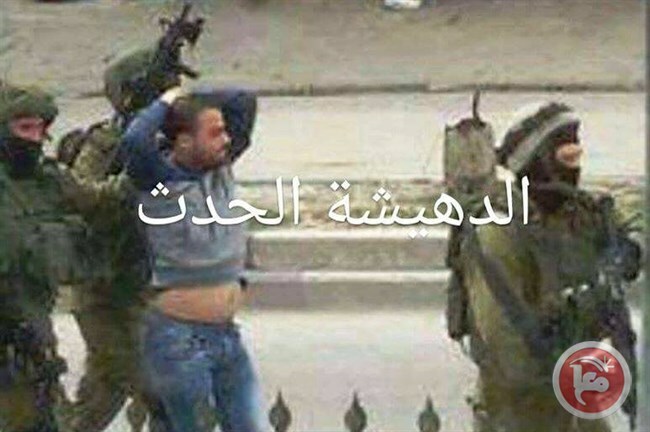 The soldiers invaded the ath-Thaheriyya town, south of Hebron, searched homes and kidnapped one Palestinian, identified as Monir Suleiman Eid at-Till, 35. 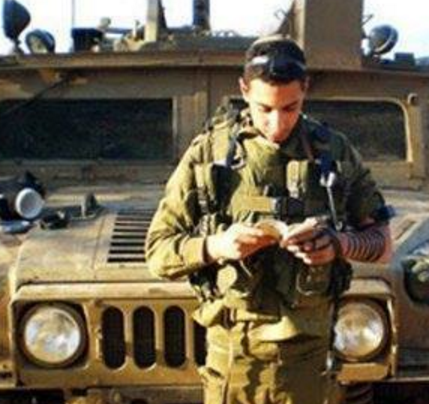 The Palestinian was kidnapped after the soldiers searched the family home and its stores in the town. The soldiers also assaulted Waseem Saleh al-‘Adam, 19, causing various cuts and bruises, before local medics moved him to the Hebron governmental hospital. In related news, the soldiers invaded various neighborhoods in Hebron city, and searched many homes, in addition to installing roadblocks on the main roads leading to Halhoul and Sa’ir towns, searched many cars and interrogated several Palestinians while inspecting their ID cards. 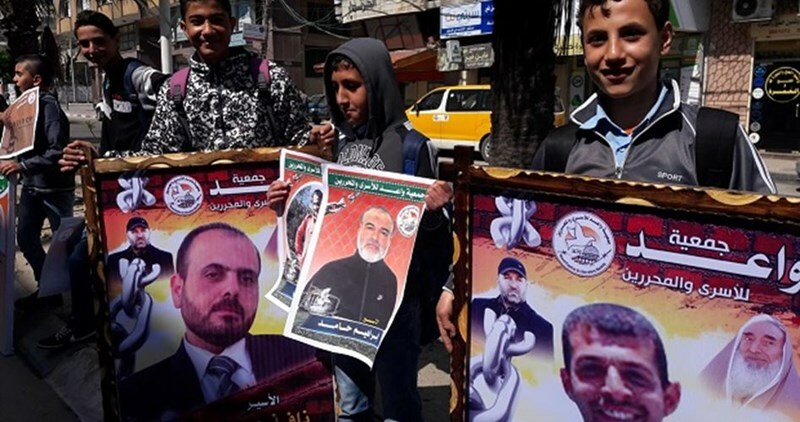 A number of prisoners from Islamic Jihad and the Popular Front for the Liberation of Palestine (PFLP) have decided to suspend their intended hunger strike and protest steps until next Tuesday, according to Mohjat al-Quds Foundation. 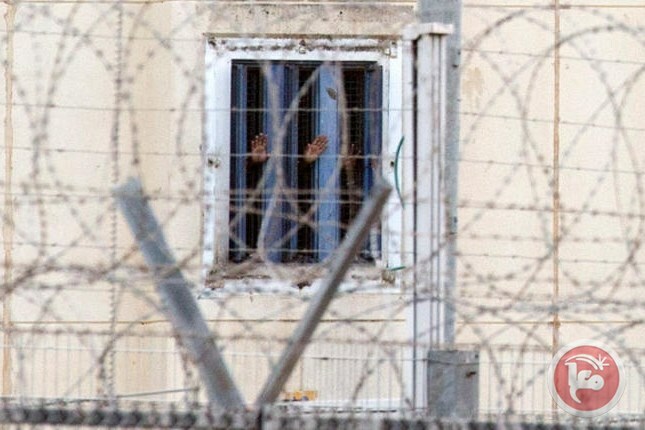 Spokesman for the foundation Tareq Abu Shallouf told a local radio station that the prisoners took their decision after the Israeli prison authority and the Shin Bet agreed to hold a meeting with their representative, Zaid Basisi, to discuss their demands. 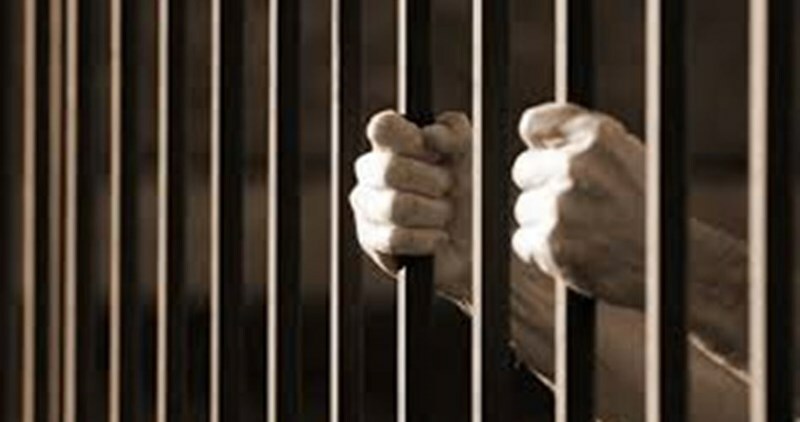 Shallouf added that the prisoners demand the jailers, among other things, to end the medical neglect policy, release four detainees from solitary confinement and find a solution to the problem of overcrowding in the sections of Islamic Jihad prisoners. The prisoners are determined to go on hunger strike and take other protest steps if the jailers do not respond to their demands, according to the spokesman for Muhjat al-Quds Foundation. 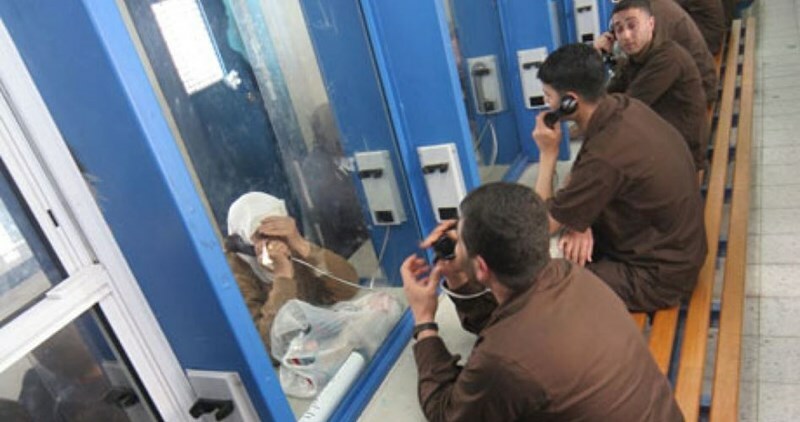 100 prisoners from Islamic Jihad and the PFLP were intending to go on hunger strike on Sunday to pressure their jailers to respond to a number of their demands. The Palestinian detained patient Bassem al-Sayeh is considered the most dangerous medical condition in Israeli jails as he might die at any moment, the Palestinian Prisoners Society (PPS) said. The PPS statement was based on a medical report issued by Doctor Samir Matour who managed to visit al-Sayeh and check on his health situation in Megiddo prison. Al-Sayeh needs a heart transplant; however, he can’t undergo the surgery as he suffers from leukemia, Dr. Matour said in his medical report. The Doctor pointed out that the surgery could be replaced by a new artificial cardiac pacemaker. The PPS lawyer Arwa Hleihel called on the Israeli Prison Service to urgently provide al-Sayeh with the appropriate medical treatment before it is too late, holding the Israeli occupation authorities fully responsible for his life. 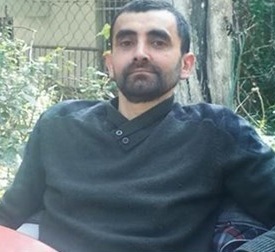 Bassem al-Sayeh, 43, was detained on 8 October 2015 and sentenced to 20 years in Israeli prison although he suffers from poor health as a result of cancer and heart disease. Dozens of Palestinian journalists rallied outside the headquarters of the Red Cross in Gaza on Sunday in solidarity with cancer-stricken journalist Bassem al-Sayeh, held in Israeli occupation jails. “Al-Sayeh is dying 100 times at every single moment. Yet, he is being left without treatment,” he added. Al-Ifranji called on the world’s journalists unions and the International Federation of Journalists to assume their responsibilities and send a medical committee to Israeli jails so as to keep tabs on al-Sayeh’s critical condition. The journalist held the Israeli occupation authority responsible for any turn for the worse al-Sayeh’s life might take, urging the International Red Cross to immediately step in. Undersecretary of the prisoners’ ministry, Bahaa al-Madhoun, also appealed to the Palestinian resistance to rally round the prisoners, saying al-Sayeh is one among 1,500 Palestinian sick detainees locked up in Israeli jails. He slammed the silence maintained by the international community as regards Israel’s mistreatment of sick Palestinian captives. The official called on the Palestinian Authority, the European parliaments, and human rights institutions to seriously work on releasing sick prisoners before it is too late. Activist Samir al-Zaqut, from the Mizan Center for Human Rights, also slammed the Israeli occupation for its crimes against al-Sayeh and sick Palestinian detainees in a flagrant contravention of the Fourth Geneva Convention. “Such Israeli crimes amount to extrajudicial executions,” he said, adding that none of such terrorist policies shall suppress the voice of truth and free speech. The Israeli Occupation Forces (IOF) arrested at dawn Monday four Palestinians from Nablus including a leader in Hamas Movement and a university lecturer. Local sources said that the leader in Hamas Movement Sheikh Adnan Asfour was arrested from his house only few months after his release from Israeli jails. Sheikh Asfour was arrested more than once and spent nearly 11 years as a whole behind Israeli bars. IOF soldiers also arrested the lecturer at al-Najeh University Mustafa al-Nashar and his son after breaking into and violently searching their house, family sources told the PIC reporter. Al-Nashar and his son were previously arrested and served time in Israeli jails. On the other hand, two young men were arrested from their houses in Duma town south of the city including the brother of Riham Dawabsheh, who was killed with her husband and 11-month toddler in an Israeli settlers' arson attack. Also in Nablus, IOF soldiers stormed Assira village and broke into a local home before confiscating a lap top and mobile phones. Prisoners Media Office revealed that the Palestinian MP Khaleda Jarrar, deputy on Ramallah at the Palestinian Legislative Council (PLC), has entered her second year of imprisonment in Israeli jails. The Office said that MP Jarrar, 52, was arrested by Israeli occupation forces on April 02, 2015 after storming her home in al-Bireh city. She was held under illegal administrative detention with no trial or charge for six months. Later on the sentence was decreased to one month and the Israeli court issued her an immediate release decision in May but Israeli prosecution objected to the court’s ruling and blocked her release. The Israeli Ofer military court put MP Jarrar on trial again and sentenced her to 15 months of imprisonment after the prosecution claimed presence of evidence against her though not presented clearly in the court. 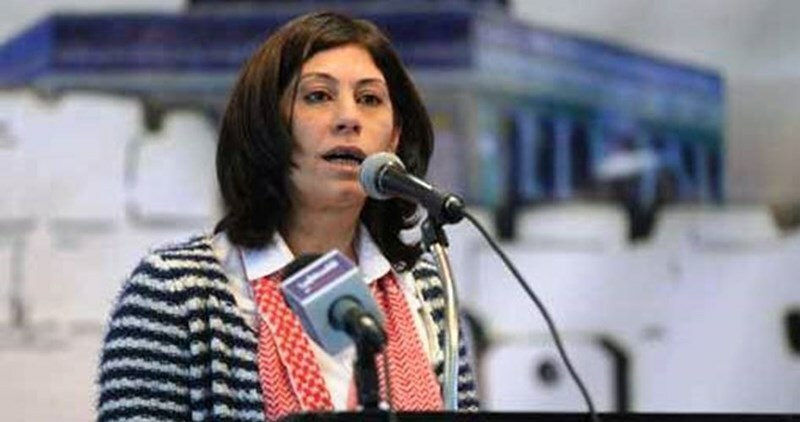 MP Jarrar has already spent 12 months out of her 15-month sentence, the Office pointed out. Waed society for detainees and ex-detainees organized on Sunday the longest human chain in solidarity with Palestinian prisoners in Israeli jails with the participation of one thousand Palestinians within the preparation for launching the events of Palestinian Prisoner Day on April 17. Some of the participants expressed, in separate interviews with the PIC reporter, their solidarity with the prisoners especially the minors. They raised photos and posters that show their suffering because of deprivation of the simplest rights in education and nutrition. The director of Waed society Abdulla Qandil told the PIC reporter that the human chain event is a message to the Palestinians to urge them to get involved in the upcoming events in solidarity with the Palestinian detainees and at the same time a message to the Israeli occupation authorities that the captives are not alone. He said that the events of the Palestinian Prisoner Day will be organized by all of the national and Islamic bodies in order to affirm the message of national unity in regards with the issue of Palestinian prisoners. Lawyer of Detainees and Ex-detainees Committee Shirin Eraqi revealed that captive Ala'a Aqel, from Salfit, was seriously injured on March 12, 2016 after he fell down to two meters while practicing sports in Megiddo Israeli jail. She pointed out that detainee Aqel has been arrested for two years and sentenced to 9.5 years. While practicing sports, he hit an iron wall which broke his ribs and ruptured his lever and other tissues. He lost feeling in his right hand, she said. Detainee Aqel told the lawyer that he was transferred after the injury to Ramleh hospital where he stayed for two weeks. He described the conditions of Palestinian prisoners there as quite bad.